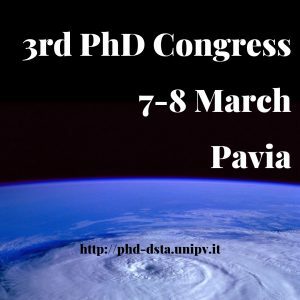 The 3rd PhD Congress organised by our PhD program will take place on 7th and 8th March in the Department of Earth and Environmental Sciences, via Ferrata 1, B6 room (ground floor). Oral presentations and posters are scheduled. Contributions by PhD students are welcome.